Verizon and AT&T both work well. Looking at my Verizon phone’s bars, it doesn’t look great, but I’ve experienced no issues with voice or data. HD streaming video has been possible on both networks. Notes about the surrounding area: The campground is close to both Willis and Conroe, TX, but is set in a remote area about one mile west of I-45. Despite being in a sparsely-populated area, you can find just about anything you’d want within a 10-15 minute drive. By heading south on I-45, you’ll begin seeing a plethora of restaurants and businesses within a mile of being on the interstate. If you continue driving further south, you’ll find The Woodlands, TX in about 12 miles. The Woodlands is known as an affluent, Houston suburb and again, it has TONS of stuff going on. Of course, if all that doesn’t satisfy your desires, the grand city of Houston can be reached in less than an hour of leaving the campground. 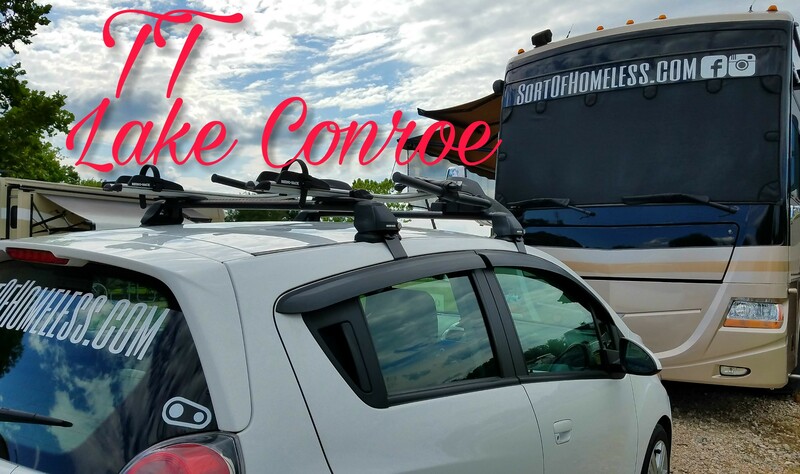 As the name indicates, the campground is set on Lake Conroe. The lake is a very popular, man-made reservoir that is nearly 33 square miles in total. Boating, fishing, and other watersports are very popular and the campground gives you access to the water along with a boat ramp and a dock. A few of our recommendations for nearby eating and entertainment would the Cactus Lounge (Texas honky-tonk with live music), Papa’s on the Lake (LARGE lakeside restaurant and bar), Freebirds (regional Chipotle alternative) and Pizza Shack in Willis. Particular notes about this campground and/or sites: This campground has become one of the Thousand Trails “crown jewels”. Some of this is deserved, but don’t get too involved in the hype or else you may be slightly disappointed. The amenities are where this park really shines. The recently redone pool area is pretty spectacular. 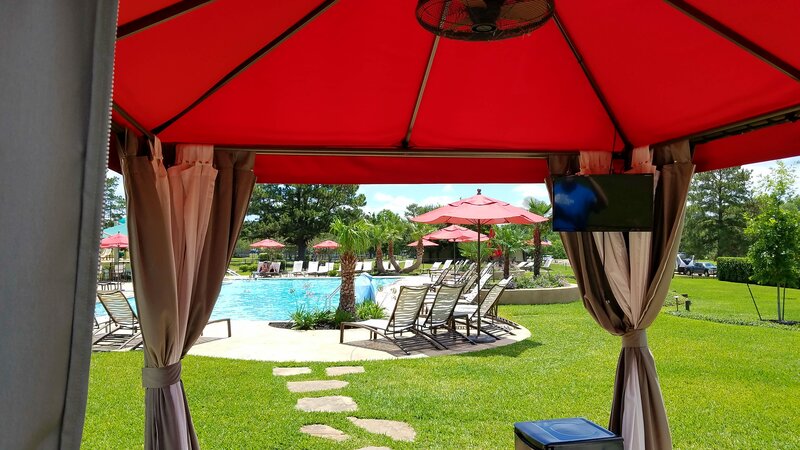 With large shade awnings, cabanas (with TV’s and mini-fridges), gas fire pit, and a ton of seating options make this the nicest of any pool we’ve seen in the TT system, thus far. Along with the pool, the campground redid the bathhouses throughout the park. In addition to that, the sport courts and putt-putt are top notch for TT properties. The sites and roads are average. All sites, and about half the roads, are gravel. Most sites have a small gravel area on the patio side along with a small fire pit and picnic table. I’ve noticed several sites which are far from level, but in my two visits, I’ve been able to find a suitable site for a 40 ft+ motorhome. Like most TT parks, many sites are occupied by annual and seasonal tenants. Many of these sites are unoccupied the majority of the time – my guess is that they’re used as a lake “house” for their owners. Every site is full-hookup and there is a section of pull-thru sites. My biggest disappointment with this campground are their odd policies. They’ve jumped on the bandwagon of not accepting USPS packages and charging $2.00 for each FedEx and UPS package received. Similar to what I wrote about TT Lake Texoma, this creates a real problem for full-timer’s, like us, who use Amazon Prime frequently. My theory of not accepting USPS packages since they cannot legally assess a surcharge has not been disputed by any staff members and that is disappointing. In addition to their package policy, I was shocked when I arrived and was told that since my RV is made to use 50 amp electricity, I HAD to take a 50 amp site. I’m not against using 50 amp, of course, but I am against it when it comes at the cost of an additional $3/day. Being forced to pay this fee doesn’t seem right if I’m fine with using 30 amp – which I am. I was told it was because they’ve “had three pedestals burn up”. I recommended some new breakers in those pedestals, but was told by the gentleman checking me in that he doesn’t “know about that” since he’s “not maintenance”. This is the first time in visiting MANY campgrounds (including this one last year) where I’ve experienced this. This park has been building sections of homes on the property in recent years. These are not park models, but actual homes, albeit on the smaller side. I’m not exactly sure who their target market is for these homes, but I could see them as being second homes, on the lake, for folks in the region or retirees looking for a maintenance-free community. Amenities: Again, this is where this park is top-notch. 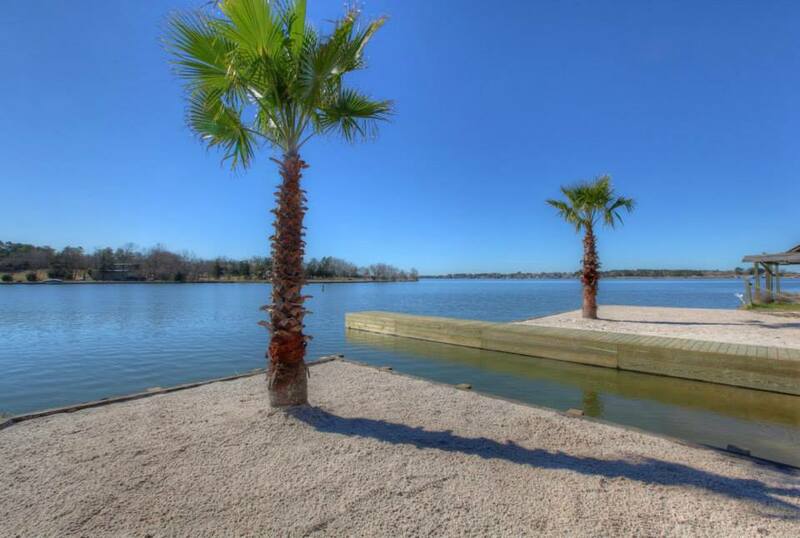 There is a beautiful pool, hot tub, cabanas, lakefront beach, boat ramp, softball diamond, putt-putt, car wash station, tennis courts, volleyball, pickleball, basketball, shuffleboard, activity center, fitness center and RV and boat storage. There is a café in the activity center which is open a few, select days each month. WiFi is run throughout the park, but access costs money. The activity center does have free WiFi that worked well in our experience. Each pedestal has a cable connection and there is a flyer in the check-in packet that details the process for activating the programming for a fee. Our experience: We’ve been to this park twice. The first time was shortly after the remodeled pool area was completed. While we thought it looked great, we already saw signs of neglect and figured it would only be that nice for a short period of time. To our pleasant surprise, the area still looks nice a year later! They’ve also resurfaced all the sport courts and they look great. Compared to those amenities, the sites are pretty disappointing. Our current site is on old, dusty gravel and the road out front is the same way. Definitely nothing to get excited about. We have a reasonable amount of space between us and our neighbors, but we’ve not spent much time outside. We do love the location! It’s quiet and on the lake, but there is, literally, everything we could want within a short drive. Quick access from the interstate (I-45) is also a really nice feature for big-rigs. Our staff interaction has been so/so. I think I’m pretty easy going, but I couldn’t bite my tongue when I was told some of their ridiculous policies during check-in, after a long day on the road. Being forced to take 50 amp and therefore pay $3/day because they’ve “had three pedestals burn up” due to 50 amp RV’s using 30 amp is ludicrous. We were also told, at that time, that we couldn’t receive the gate code which went into effect on Tuesday when we checked in at 10:30 pm on Monday night. That means we were given a code which was good for the next 90 minutes, but nothing beyond that. SOH Score (1-10, 10 being the best campground imaginable): 6.5 – The location and amenities are strong – really strong, but the policies and humdrum sites are weighing this score down. Thanks for reading! I’m not sure I’m ready to revolt, but I will say that I’ve still yet to encounter this policy at any other campground. Safe travels! Hope you all are doing well Ryan. Thanks, Bryan! I hope things are good for you too! It definitely seems silly. Every other campground I’ve been to can make it work… Oh well.